The other day I showed my area above my kitchen cabinets. I am loving yellow and grey together so I wanted to add those colors. 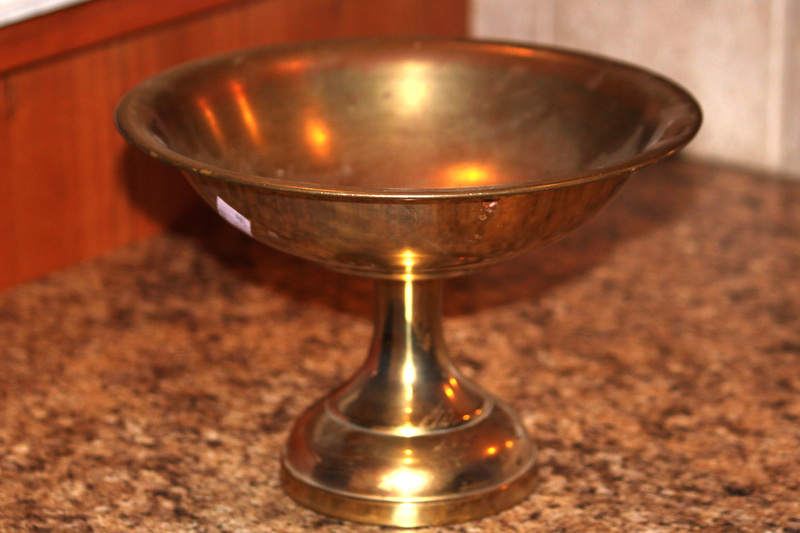 So I took this gold bowl. It is way too bright for my taste, but I found it at a thrift store for a great price. I loved the shape. 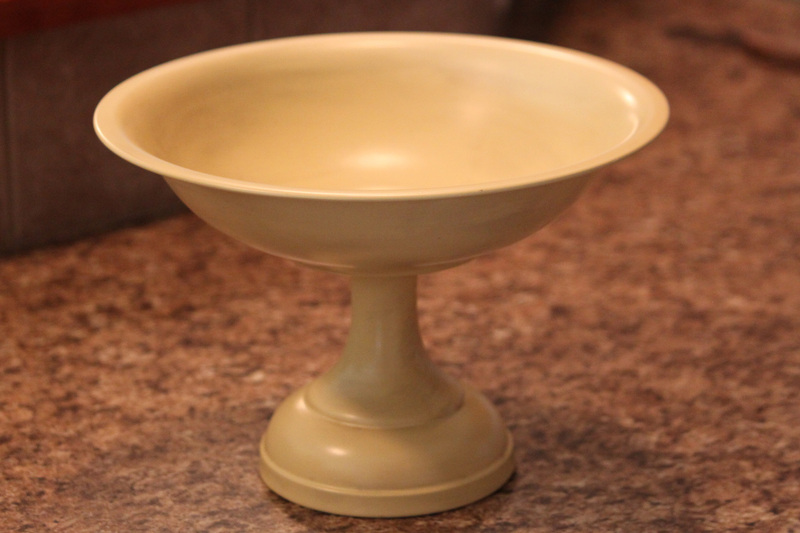 I painted it a strawflower yellow from Rustoleum and then glazed it. It is a beautiful yellow. 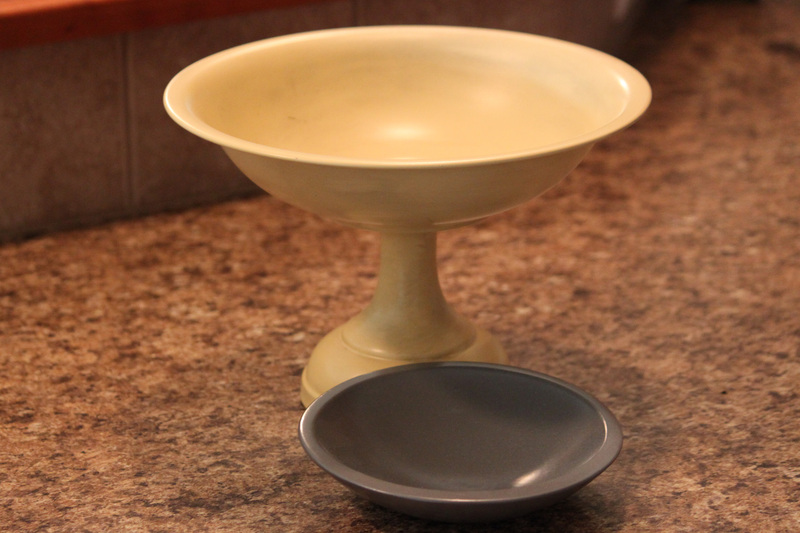 I took one of these wooden bowls and painted it grey. 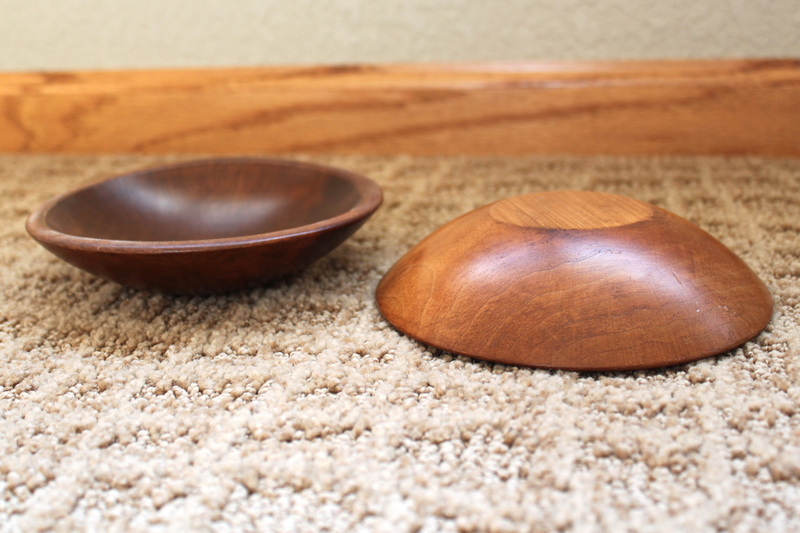 Here are the bowls. 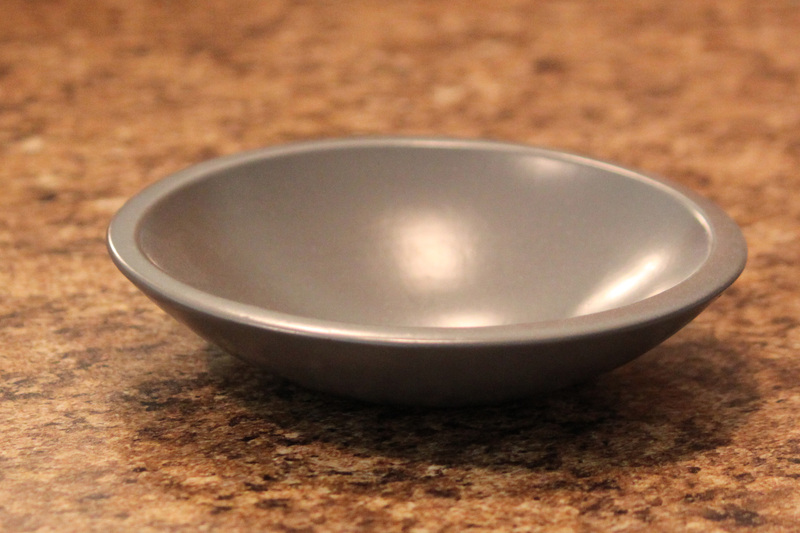 Here is the bowl grey. Together they are so pretty. Spray paint makes it so easy to change the look of a piece. Now if the weather would just cooperate so I can paint some more items…spring in North Dakota. 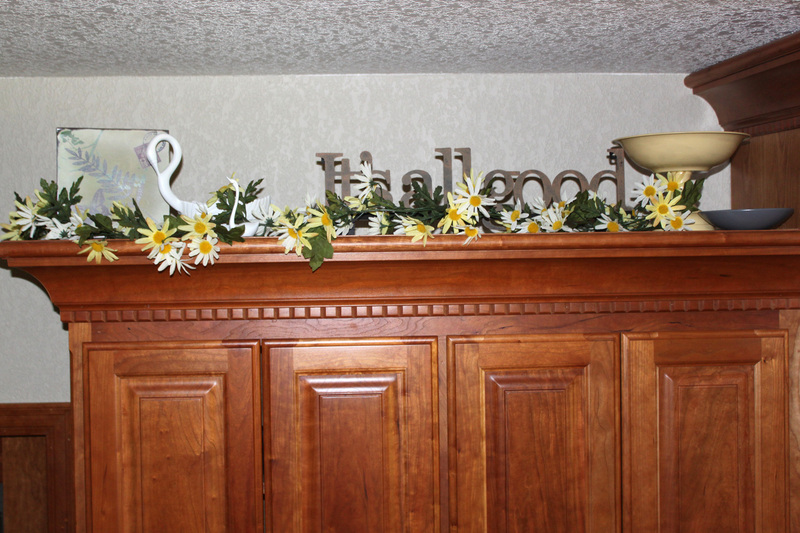 This entry was posted in Spray Paint, Thirft Store Finds, Upcycle by Karen Grosz. Bookmark the permalink. Looks nice. You have a way with color.